Food waste is a big global problem. Because food production has a considerable carbon footprint – growth, production, packaging, transport, storage and retail. Food waste is a common problem at both institutional (restaurants, offices, schools etc) as well as individual levels. When you think of the huge carbon footprint involved tackling food wastage can cut consumption and therefore the impact on environment & resources. In addition, if you also consider the fact that raising animals for meat, poultry & dairy is one of the biggest polluting industries, besides cutting consumption, it’s important to reduce food waste. You can easily reduce food waste at home and contribute to a greener planet and by the way a fuller wallet. For this feature we are excited to collaborate with eReplacementParts blog – a lifestyle blog that covers house and home projects, gardening, DIY, green living, and more – and bring to you an exclusive feature on how to reduce food waste at home. They collaborated with us previously on expert tips for organic gardening. Up to 40 percent of the food purchased globally is wasted. The Feedback Company reveals in a shocking discovery that 50% of food produced by Kenyan farmers for EU supermarkets gets wasted even before leaving Kenya – because it doesn’t match supermarket specifications of size, colour and other aesthetics, regardless of nutritional value, freshness. It’s easy to blame supermarkets and restaurants that toss out mass quantities of spoiled, imperfect, or uneaten food, but even small amounts of food waste have a big impact. The average person throws out more than 20 pounds of food per month. The forgotten leftovers in the refrigerator and over-ripe bananas on the kitchen counter contribute to greenhouse gas emissions in the landfill. Planning is the key on how to reduce food waste at home. We’ve cooked up some great ideas to help you reduce food waste at home. We already shared some tips with you on how to cutdown your carbon footprint on the food front in our exclusive green living series feature on food. 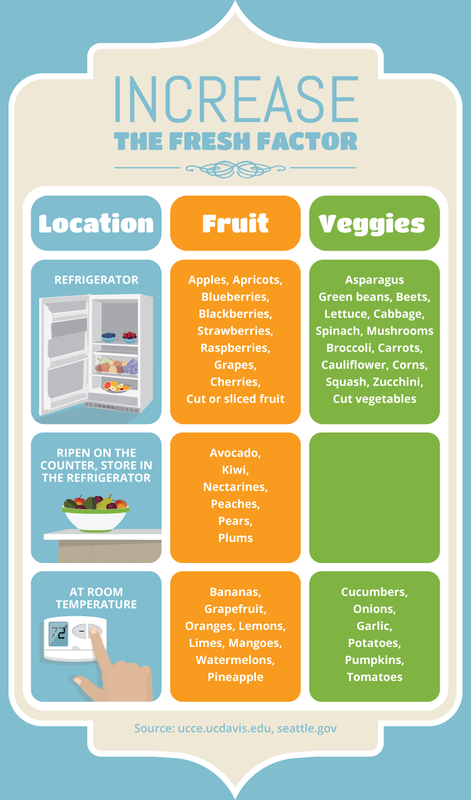 Here are some more tips on food shopping, storing & usage. Thinking about what to make for breakfast, lunch, and dinner – and making a list of ingredients before heading to the supermarket – guarantees you’ll buy only the food you need for the week. Remember to take leftovers into account: A recipe that makes enough for two meals should be counted as two meals, not one, during planning. Also think about eating out: You won’t need enough food to prepare seven suppers if you plan to go out to dinner one night. Despite their moniker, the bulk bins are not just good for stocking up on mass quantities of food. You can also purchase smaller amounts of ingredients required to make a specific recipe (specialty spices are a great example). Fruits give off natural gases as they ripen, which can cause other fresh produce stored near it to ripen faster. Food experts recommend storing bananas, apples and tomatoes on their own and keeping fruits and vegetables in separate crisper bins in the refrigerator. Make food-shopping a zero-waste process too! Food waste comes in many forms, including packaging. At the farmers’ market, bring cloth bags for items like bread and cheese and look for homemade items like granola, nuts, and nut butters sold in reusable glass jars. (Be sure to ask the vendors if you can bring back jars – and egg cartons too – for them to reuse). Here are some fabulous local farmer’s markets & organic fresh food chains in London & Paris! “Shop” the refrigerator and pantry every week and use about-to-go-bad foods in one creative meal. You might be surprised at the seemingly random ingredients that are perfect for stir fry, casseroles, and pasta. And this weekly left-overs meals can be turned into a fun family / friends event. Do a Netflix & Leftovers special movie nights or get kids to get creative! You might not think twice about tossing a chicken carcass, crab shells, potato peels, stale bread, or the greens from carrots and beets, but these foods do not have to end up in the trash. Researchers at the National Resources Defence Council and Harvard Food Law and Policy Clinic found that 91 percent of consumers threw out food based on the dates listed on the packaging. In many cases, the food was probably perfectly safe to eat. Manufacturers use these “sell by” and “best before” dates to tell consumers when products are at peak freshness. After the dates, food is not necessarily spoiled. In fact, in the U.S. Food and Drug Administration does not require food packaging to be labeled with these dates. Reducing food waste now at your fingertips! There are ample online communities, organisations and apps that help you network and reduce your foodwaste. Get connected with them! Check out the quirky The Pig Idea started – a campaign by food waste expert Tristram Stuart and the Feeding the 5000 team in partnership with chef Thomasina Miers that’s campaigning to lift the EU ban on the feeding of catering waste to pigs. The Too Good To Go team in UK & France is on an interesting mission. Through the TGTG app they are raising awareness of food waste by making surplus food available for collection before a store/restaurant closes its breakfast, lunch or dinner service. The Food Cycle in UK where volunteers across the country serve over 850 meals a week using surplus food or Feedback Company which has Feeding the 5000 initiative that holds events across Paris, Dublin, London, New York, Sydney. We also covered the uber-cool app Olio Stories from London – an app that helps you share your edible surplus. Sign up on it today! With zero-effort & simple mindfulness we are sure you will be able to reduce food waste at home! Now also understand how to go beyond food and become a zero-waste warrior as well as reduce plastic waste with expert tips from founder Mirela! 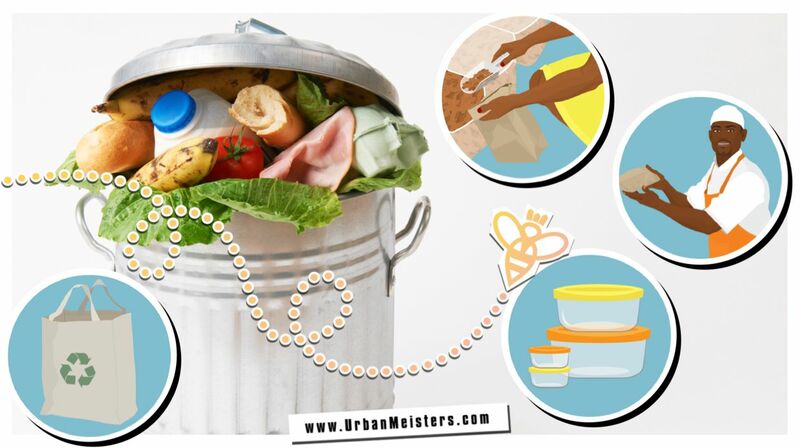 Got little hacks of your own on cutting food waste or any other waste? Write to us!